On a campaign stop in Idaho, presidential hopeful Ted Cruz characterized the West’s federal land system as a “historical accident.” The Republican senator from Texas then stoked resentment over federal management of public lands by telling his audience that the government ought to hand its lands over to the states. This would, of course, set public land — which all Americans own — on a path to private ownership. Cruz pointed to Texas as a counterexample. He’s wrong: Texas itself is the real historical accident, and its history offers a cautionary tale, not a model, for Idaho and the rest of the West. Cruz knows there is plenty of anger to tap. The federal indictments against the Bundy bunch remind us of the fervor that public lands can inspire. Meanwhile, many Westerners possess a congenital longing for unhindered access to public resources. They’ve come to believe that all that stands between them and certain riches is a conspiracy designed to deprive the West of its rightful ability to profit from the public domain. That’s clearly what Ted Cruz thinks. But Cruz is confused, especially when it comes to Texas. When Texas joined the United States in 1845, Congress allowed it to keep its public domain — some 200 million acres. This was a historical exception; in other territories, public land remained under federal control. Spanish law in Texas’s past complicated such practices. But the overriding concern in this case was Texas’ debt. The federal government thought that Texans ought to address financial shenanigans of their own making. Leaving Texans to their own devices led to excesses. In one instance, the state sold its land to outsiders to pay for a new capitol building. The result was the XIT Ranch, a vast 3-million-acre complex that sprawled across 10 panhandle counties. Selling off lands became the norm, a policy that caused problems well into the 20th century. Beautiful spots and fragile ecologies in the state faced constant and myriad threats. In the 1930s, the federal government acquired land for Big Bend National Park partly to bail out ranchers who had so overgrazed grasslands as to make continued ranching unprofitable. Logging companies chewed up places like the Big Thicket in East Texas with astonishing speed. Many scenic areas became so overdeveloped that the wildness, beauty and solitude people valued them for disappeared, while still other places were sequestered behind signs announcing “Private Property.” Environmental protection in Texas always lagged, despite courageous conservationists playing David to the Texas establishment’s Goliath. Chisos Mountains in Big Bend National Park, Texas. There is another parable from the Bible – a source Cruz said he reveres – apropos to this situation. King Ahab of Samaria coveted his neighbor Naboth’s fine vineyard, but Naboth resisted and told Ahab, “The Lord forbid that I should give you the inheritance of my ancestors” (1 Kings 21:3). Immediately thereafter, Ahab’s wife, the notorious Jezebel, hatched a scheme whereby Naboth would be falsely charged with blasphemy. A frenzy erupted, and Naboth was stoned to death, leaving his vineyard open for the king to claim. This was the parable that sprang to U.S. Supreme Court Justice William O. Douglas’s mind when he traveled widely in Texas during the 1960s. He saw modern Ahabs in the form of timber companies, ranchers, poachers and utilities everywhere, all trying to appropriate “the inheritance of all the people,” as he put it. Douglas bemoaned Naboth’s vineyard’s fate. Texas’s environmental woes, Douglas believed, stemmed from its lack of public lands. Half a century later, those Texans who love nature and access to open spaces generally concur. With so little public land open to them in Texas, they flee to states such as Colorado to hunt or to hike. Our public inheritance in the West was bequeathed to us by our ancestors. America’s publicly owned forests and grasslands, wildlife refuges and hunting grounds, wilderness areas and national parks are accessible to everyone. They help preserve what writer Terry Tempest Williams has called “the open space of democracy,” places that allow for justice and beauty and even the dissent on which democracy depends. They do not fence the public out. But Westerners ought to recognize Texas as a flawed model with a distinctly poor environmental history. Cruz and those who assail public ownership at every turn resemble the covetous Ahab, or are, like Jezebel, handmaids to duplicity. 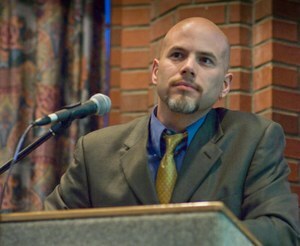 Adam M. Sowards is a contributor to Writers on the Range, the opinion service of High Country News (hcn.org). He lives in Pullman, Washington, and is a professor of environmental history at the University of Idaho. His most recent book is Idaho’s Place: A New History of the Gem State. He's on Twitter @AdamMSowards.